My work colleague bought the EX510’s after my recommendation. 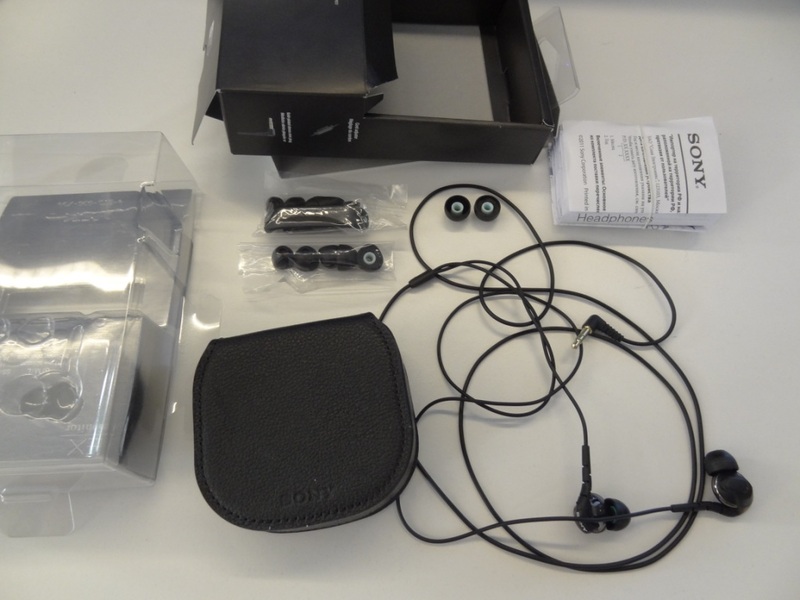 I had previously owned the EX500’s and found them in being one of the best sub £50 earphones – So I logically thought, that the EX510’s were going to be the same. These EX510’s cost 50€, which is around £40. So, they do still remain sub £50, but the question is, do they match the EX500’s and their legacy? Let’s get into the review and find out! From the packaging, and accessories that were provided with the EX500’s (close to none), I wasn’t expecting a great deal of things from the EX510’s – how wrong was I, and to be joy was it when I opened the package, and saw not only a case, but a sleuth of tips, and even for the additional touch, a cable tidy management “clip”! 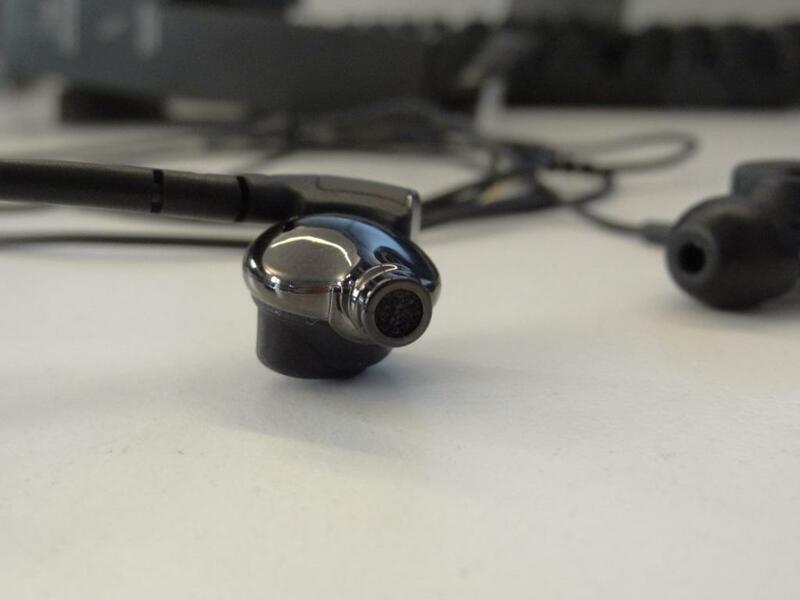 The accessories of the EX510’s were clearly better and very good for a pair of £40 earphones. 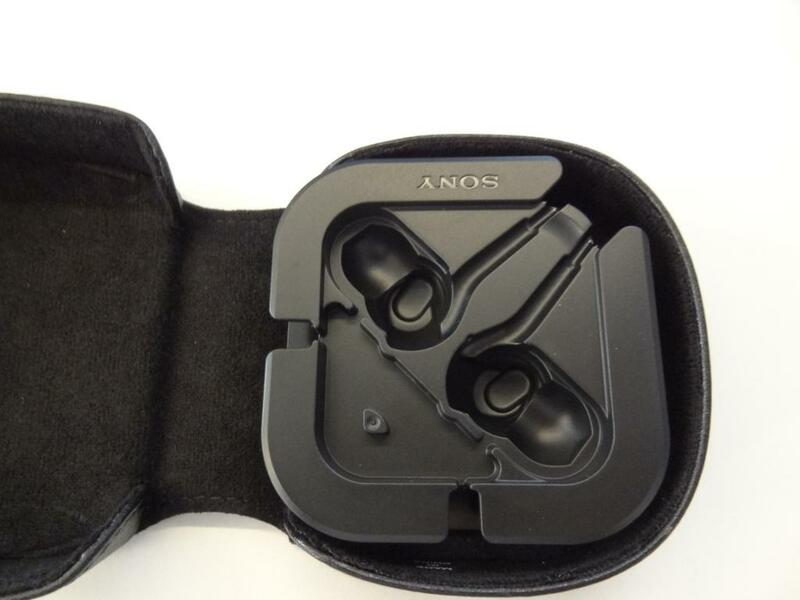 You often don’t get these accessories in higher end earphones, let alone cheaper ones. So it was nice to see that Sony, was paying attention to detail. There are quite a few tips, and almost half of them (S, M, L) had an extra foam-esk lair inside, meaning the tip would be a little harder, and in theory provide a little better isolation. 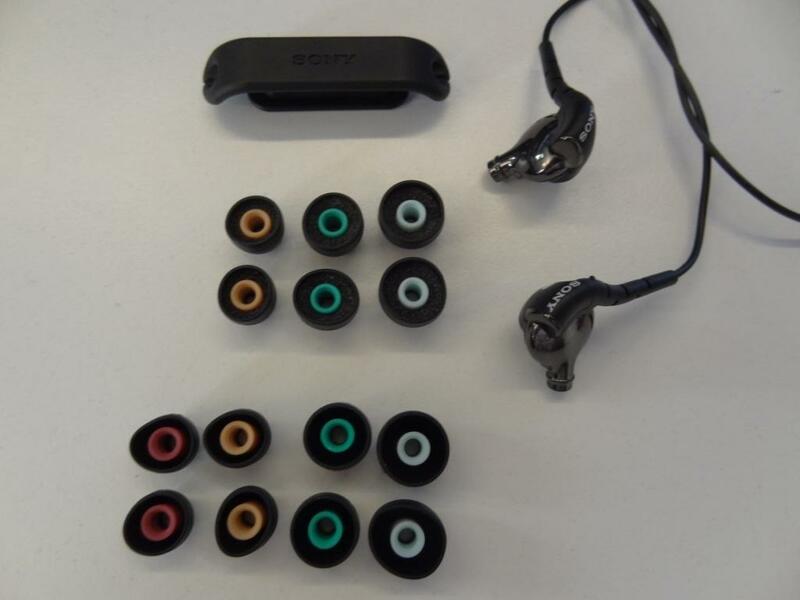 It’s nice to see Sony trying to incorporate different styled tips – a nice touch I found. My biggest complaint about its younger brothers the EX500’s was their build quality. I have to say with the EX510’s these issues seem to be resolved. 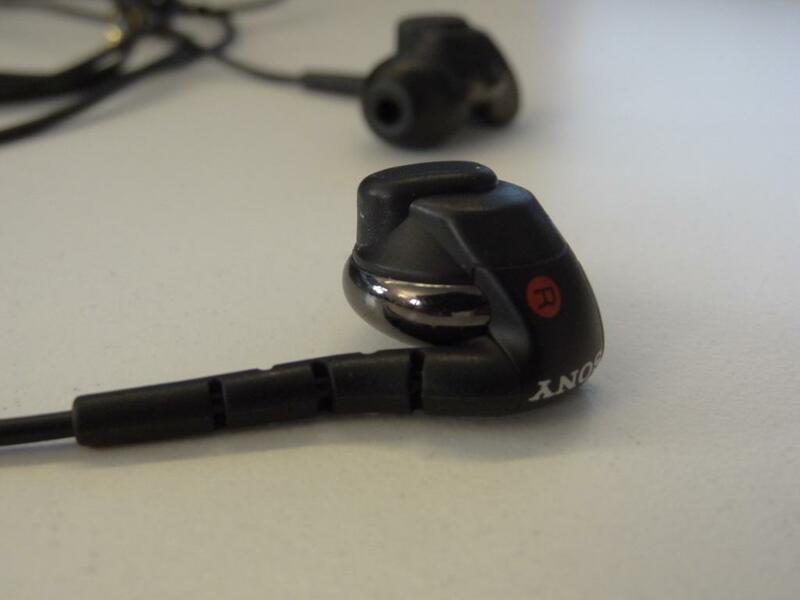 With a much sturdier and better strain relief by the ear buds, and a solid build quality on the ear buds themselves. 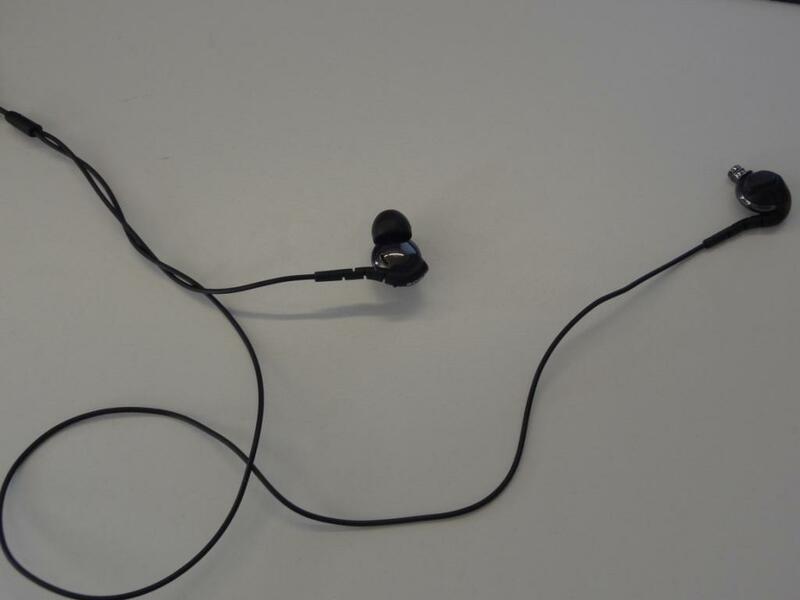 I also found that the wire was ever so slightly thicker, and didn’t tangle as easily as the EX500’s. So a 100% improvement here in terms of general build quality, and longevity over its predecessor! Another improvement here too! Sony took attention to detail, and really made the EX510’s professional looking – it reminded me greatly of the EX700’s brushed metal look. I really like the look of the EX510’s, it isn’t something that stands out, but nor something that looks cheap and tacky! The comfort, is identical to the EX500’s – it is very comfortable, but if one was running with these or wearing them for a long period of time, they would tend to fall out. 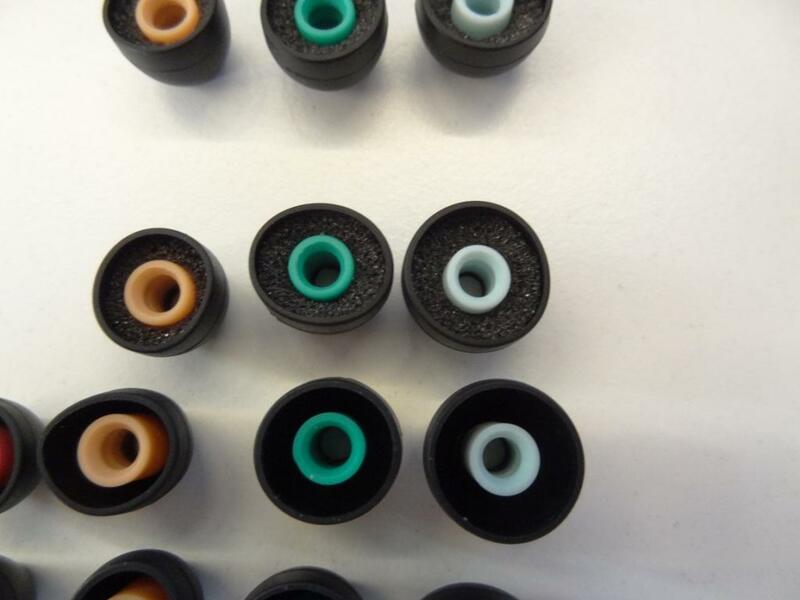 Whip on some Comply foam tips, and the issue is fully resolved. This also ties into isolation – with the new isolating-esk tips, the isolation is a little better, however there is no improvement with isolation over the EX500’s with the standard hybrids. Yet again, with Comply’s this issue is greatly improved. The most important factor. Now with the EX500’s, I found them to be lush, bass hitting, but a little recessed in the mids. The EX510’s are close, but not identical to their younger brothers. 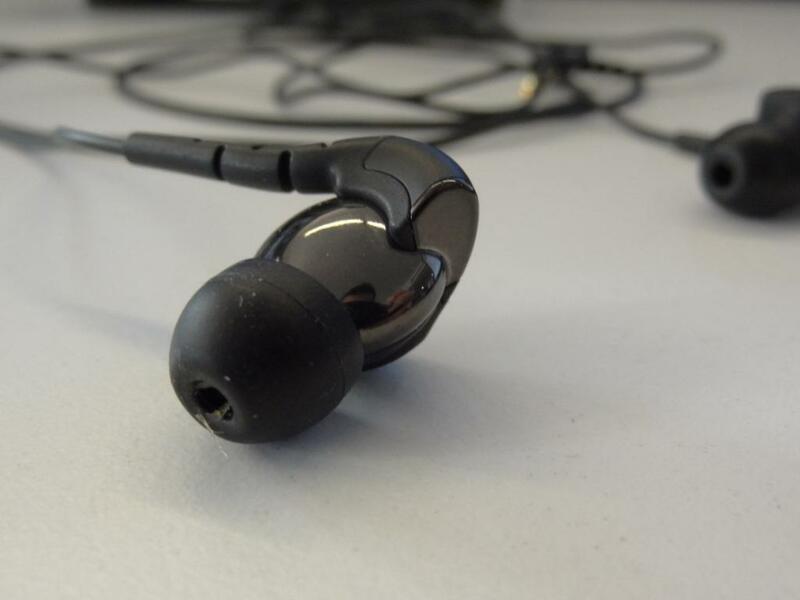 The EX510’s concentrate mainly on their mids, have the same highs, but a reduced bass impact. 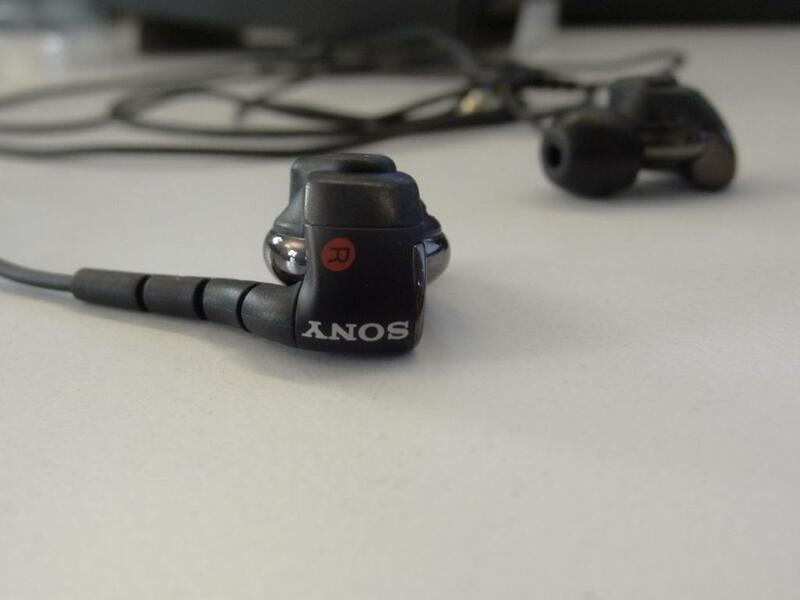 So Sony decided to reduce the mid-bass for a little extra clarity in the mids. It works quite well, but if I had to choose, being someone who prefers a V shaped frequency graph, I would opt for the EX500’s purely for sound quality, and excluding the accessories, build quality and what not. That said, for what the EX510’s offer, they are an excellent choice for many, and I myself could see myself buying them in the future for my own use! Lows: Nice quality of bass, not as much impact (mid-bass) as the EX500’s, but definitely still that lush bass response, which is liked by many – not too over powering, and not too weak. Mids/highs: Very good for their price – you really can’t go wrong. I must say, out-the-box, they do tend to bee a little harsh on the ears, but with burn-in (just like the EX500’s) it calms down. That said the mids might not be for everyone, but can easily be toned down (ie. via Comply tips). The mids are also a little recessed, but at this price range I think it’s fair to say that you can’t expect them to be the best! 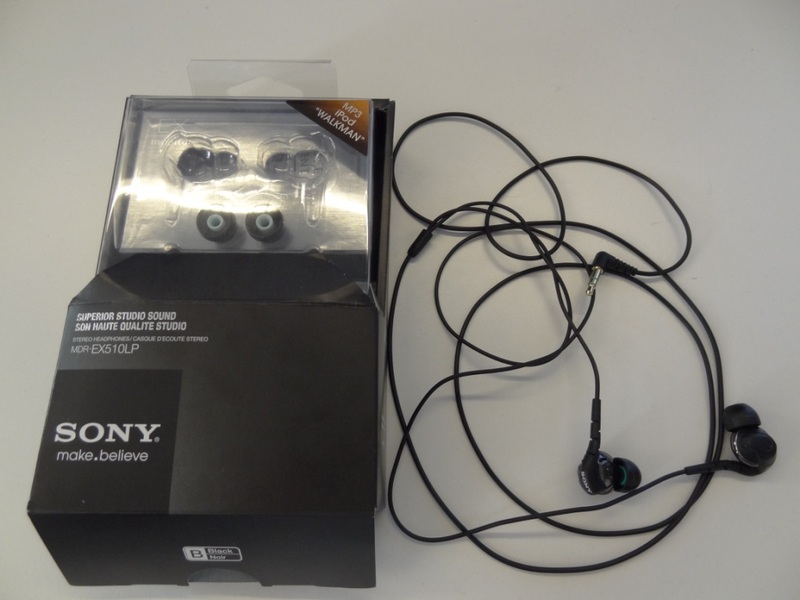 Overall, these are still an absolute steal – I love how Sony paid attention to detail, and made them a little more “professional” both by look and sound (by being more neutral) – definitely on my recommend list for people looking for sub £50 earphones! I would also like to conclude, that if you were contemplating between the EX500’s and the EX510’s, I would pick the EX510’s due to their better build quality, accessories, and better looks. 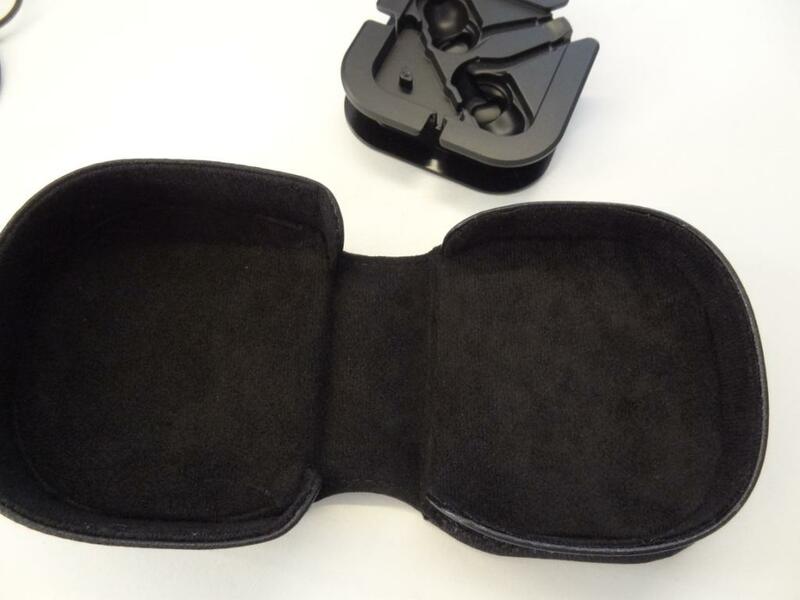 If it wasn’t, especially, for the build quality – then the EX500’s would be next point of call. 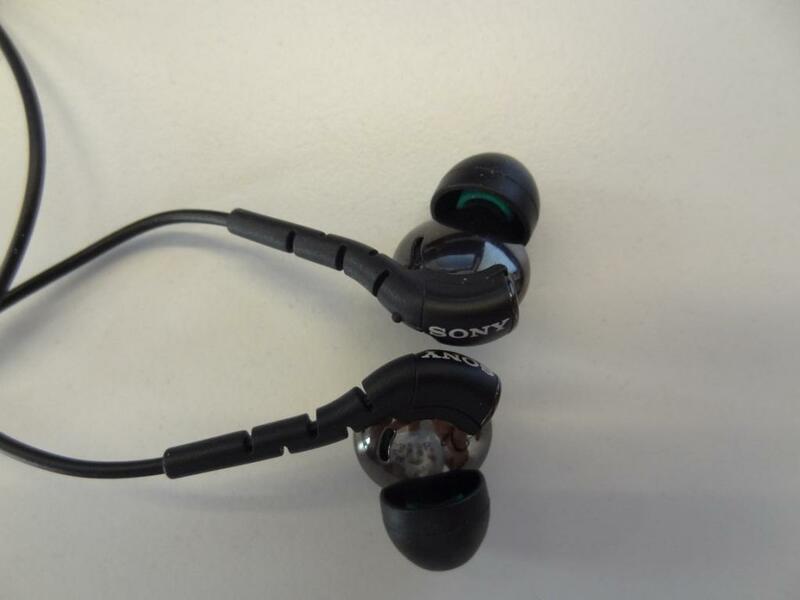 This entry was posted in Audio Reviews and tagged Comparison, EX500, EX500 vs. EX510, MDR-EX510, Review, Sony on March 30, 2012 by TotallydubbedHD. Great review! I totally agree with you on all those points after having used EX500’s faithfully for a long time and now having moved onto EX510’s. Slightly miss the powerful bass of its predecessor, but overall it lets the mid-range come through better, and the more robust design is definitely a huge plus! I’m glad you agree – as you are probably the best to know the comparison between the 2! Hey, that’s a nice review! I agree with your evaluation 100%. However the fit part let me down. For some reason I find it impossible to make them stay on my ear for more than a minute or two. You do mention that the fit is identical between the two. Since I’m hopping it’s a mistake on my part, can you please describe how you get them to fit your ears? I would really be greatful. Well the fit is very easy for me – Have you tried all the tips provided? It is granted the EX510’s housing is a little bigger and wider than the EX500’s ones, but apart from that I never had any problems. I spent 2 hours trying tips yesterday… none worked (tried sony and third party I already owned). All I got was a sharp pain in the ear canals. Please tell me, do you seat them IN the canal (deep insertion – small tip), or do they just sit on the outer part of the ear (larger tip)? They sit in, but not as deep as say some etymotics. Just like the Ex500’s did. They don’t sit out, like the IE8’s though. This is harder than I thought to explain :P! Thanks very much for taking the time to post this detailed review. I am literally a click away from buying these, I’m still just a a bit worried about this issue of the earphones lacking in bass strength. 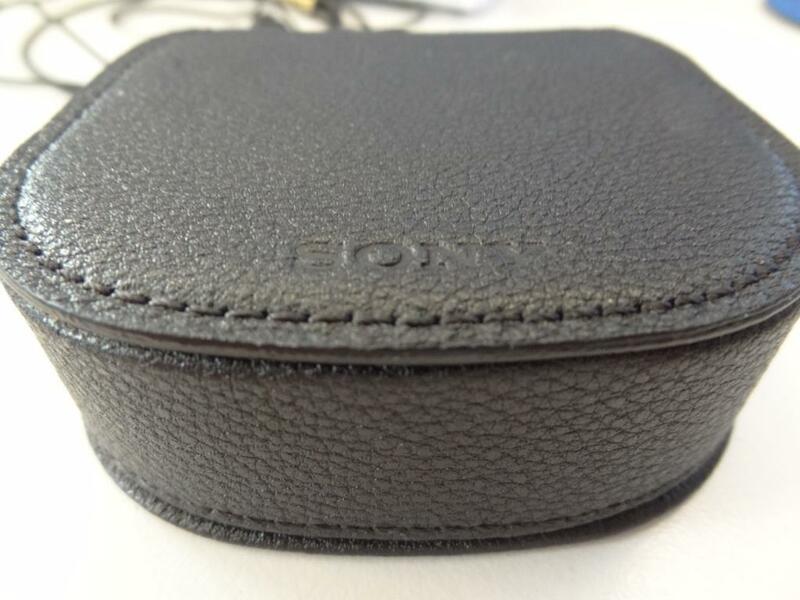 I listen to a mixture of Rock, Classical and Electronic music, and really loved my previous pair of Sony MDR-EX300s. I therefore thought it was a no-brainer that these would be right for me. Do you think if I set my phone’s EQ to “Rock”, these earphones will provide enough Bass, or might I be disappointed? Since I’m a musician I really do think I would appreciate the high quality and clarity that these headphones seem to produce. Was just hoping if you could help me make my mind up! I think these will please you, if you want a little more kick for the reduction of a little bit of mids/treble, then you could go for the EX500’s instead. Unfortunately I can’t comment on the differences with the EX300’s! I went ahead and bought them. Could I also ask for an estimate of how much time is required for them to sufficiently “burn-in”? 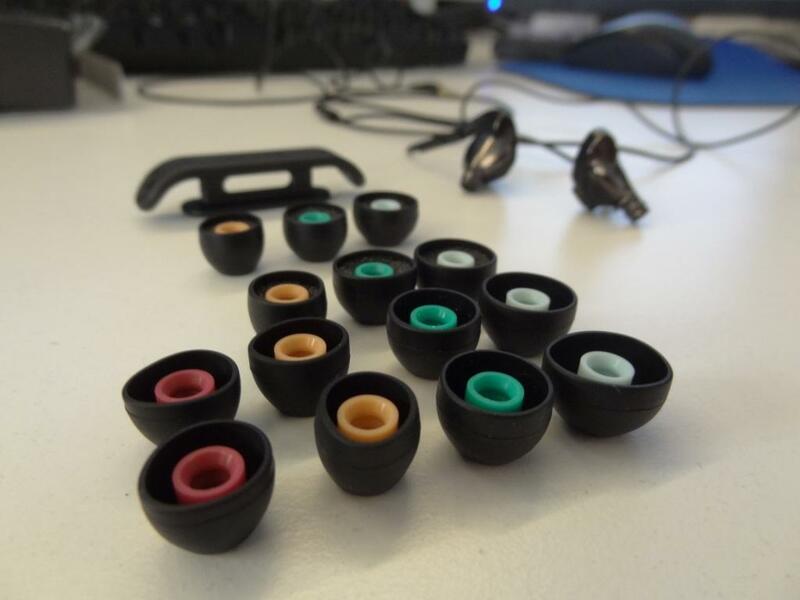 Also are there any potential benefits to not using the special foam tips, and instead just using the original rubber ones? I also get the EX500 to sit in the canal with ease. No luck with the 510 though. Using the exact same tip, they pop out. Maybe I’ve hit a rock here. As silly as this sounds, you aren’t putting left to right are you? :/ Sorry man – I’m very surprised it isn’t fitting you though! Quick question – which Comply tips did you put on this, the TX200? I see they are made for the EX500’s but there is no mention of the 510’s – I’m assuming it’s cross compatible but if you could clarify that’d be great. Well I actually used the 400s before it was ever tested with Comply. The 500 & 510 share the same nozzle size if I’m not mistaken. So the 200s should fit tightly. Experience with the EX700? SQ vs EX500 and EX510? I want to buy one of these. I don’t want overly heavy bass, but solid. Don’t need big soundstage, and don’t want mids too recessed. Like a warm sound, and not too analytical. Have RE-Zero now and will use it for classical. I want more fun, liquid sound for pop/rock. I am 65. Wife has cheap EX083 (EX85 plastic version?) and I like the sound concept of those, more bass and kind of like having my head in the music, but mids are muddy on those. Thanks. Thanks for the instant response! Resistor adapter? Can you provide a link to a recommended one? Thanks again! Last question: I thought SP and LP designation primarily referred to length of the supplied cord? A reviewer on Amazon who owns both EX700SP and EX700LP says there is a major SQ difference between them, e.g. the LP bass and treble were boosted for the youth market, whereas the SP model has a more balanced sound, which he prefers. I think he said the 700SP was an earlier Sony Supreme version and the LP is the Sony Premium edition. Any thoughts on this for the EX700? Are there also differences in SP and LP models for the EX510 and EX500? 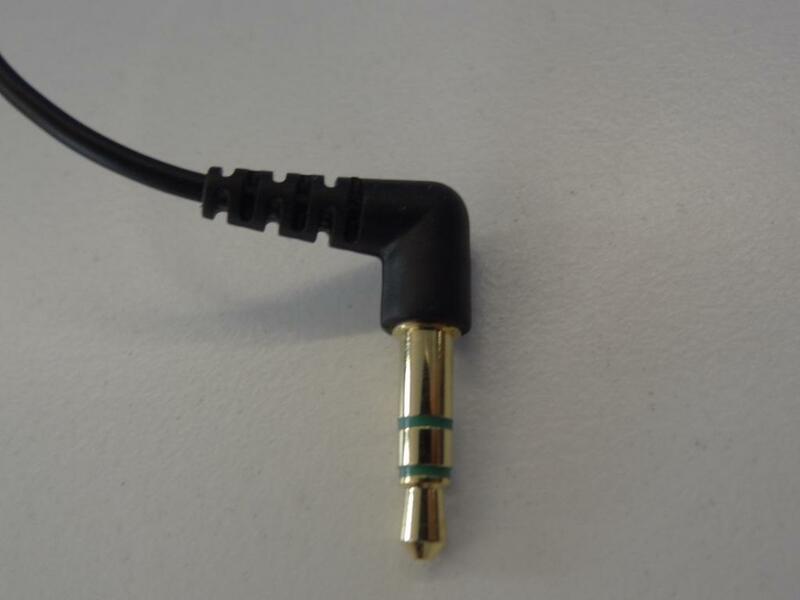 That would be a lie – the LP is a single straight cable, and the SL is a 2 cable design. That’s how it has been for a while with the Sony range. Sorry I meant “SL” model vs “LP”. Got the EX700LP. I can see why you recommend the resistor adapter 🙂 Nonetheless, very impressive sound. When compared to my RE-Zero’s though I find less mid bass and also the mid range seems back just a bit. Also, I was hoping for perhaps a little less analytical sound feel – a more warm/ liquid sound. So, if I wanted to try another Sony model with a different SQ signature from the EX700, is there something you might recommend? EX310, EX90, or? Thanks! Glad you can see where I was coming from! Well the Sony range are quite analytical – they aren’t that warm sounding. If anything the EX510 would sound quite nice as an all-rounder, but still won’t be that “warm”. That said, anything compared to the highs and the spikes of the EX700’s will sound “warm” lol. Might be worth looking at the TDK BA200’s if you really want a warm sound. My local store sell sony mdr-ex510(Multiple Layer Dynamic driver) for $119 and MEElectronics A161P (single BA driver)for $99. I love the first mdr-ex500 when I test at my friends home (love the lush bass and treble), But I haven’t test the MEElec A161P yet. So do the sony ex510 worth to buy at $119 price point or should I buy the MEElec A161P for only $99? No idea about the MEE’s but I can say the EX510’s are sure worth it. They have much better mids than the EX500’s but the bass isn’t as fulfilling. 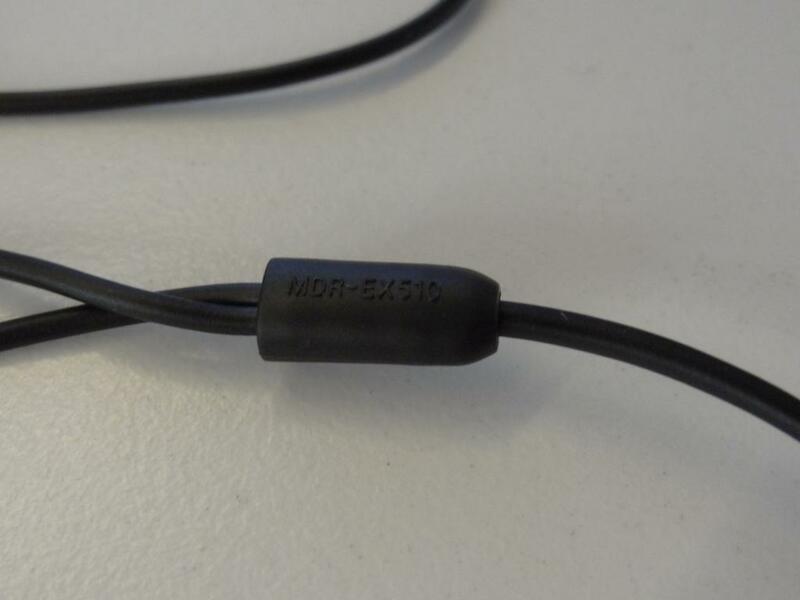 So how is it compared to MDR-EX310? What’re the pros and cons between them? They are excellent earphones, and I would buy them.